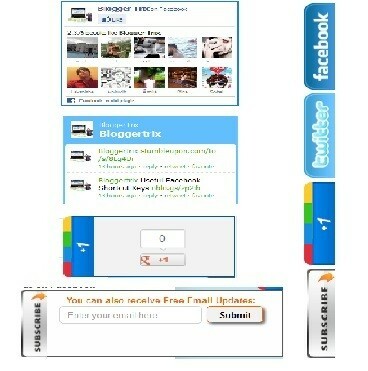 Log in to blogger and Go to Design >> Page Element. Replace your fb fan page With Facebook fan page. Replace Twitter Username. With your Twitter Username. step1-remove all #facebook code from everywhere. step2-find this code and remove.